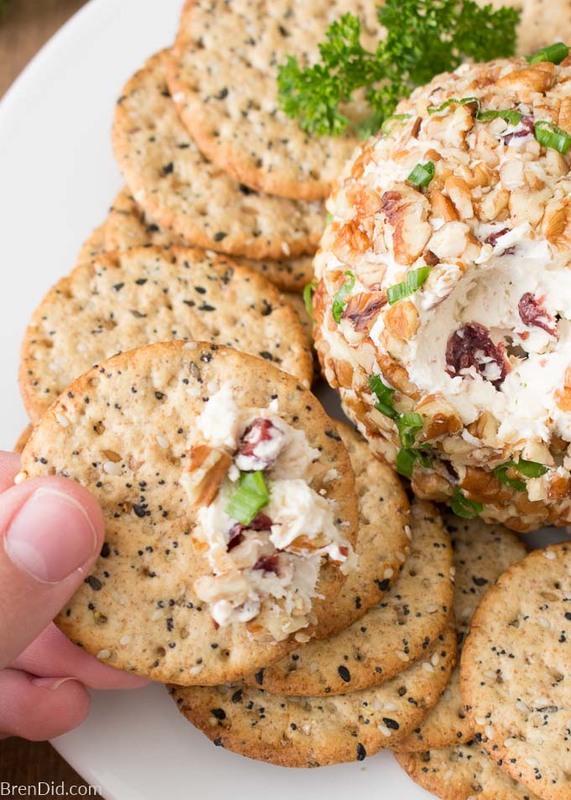 This easy Gorgonzola cheese ball recipe is sure to impress the guests at any holiday party. 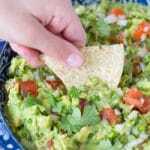 It's sweet and savory flavor will stand out from all the other appetizers. I'll admit it, I don't know the words to Auld Lang Syne past “should auld acquaintance be forgot” and had no idea why we sign it on New Year's Eve. I did a little research and found out the it's an old Scottish song. The title means “Times Gone By” and the lyrics are about remembering old friends and the times spent with them. The song was first published in 1788 but became famous in 1929 when Guy Lombardo and the Royal Canadian Band began playing it on their annual New Year's Eve radio broadcast. Another not-so-revealing admission for NYE? I really LOVE stinky cheese… and I really, really LOVE Gorgonzola! 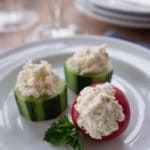 To celebrate New Year's Eve I'm sharing my favorite Gorgonzola Cheese Ball Recipe. I love making (and sharing) it with friends. 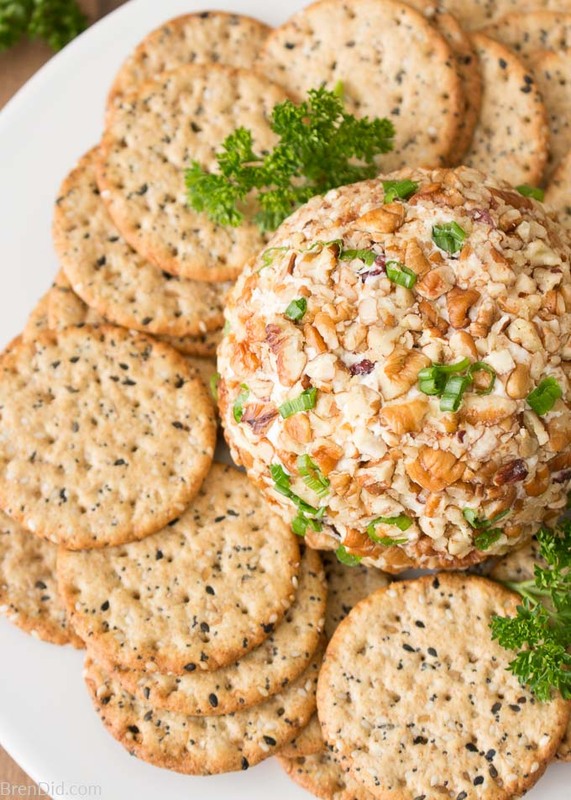 This cheese ball recipe is a delicious and easy way to serve Gorgonzola cheese. 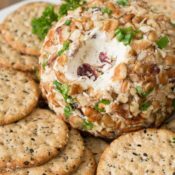 The delicious-but-strong cheese is blended with cream cheese, dried cranberries, and caramelized onions then rolled in nuts. 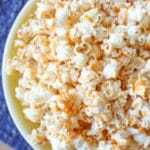 The cream cheese mellows the flavor of the Gorgonzola and the caramelized onions add to the sweet/savory flavor. 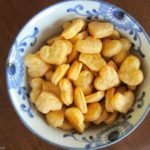 An added plus: the cheese ball comes together quickly and can be made several days ahead… making it the perfect appetizer for busy holiday parties and nights like New Year's Eve. 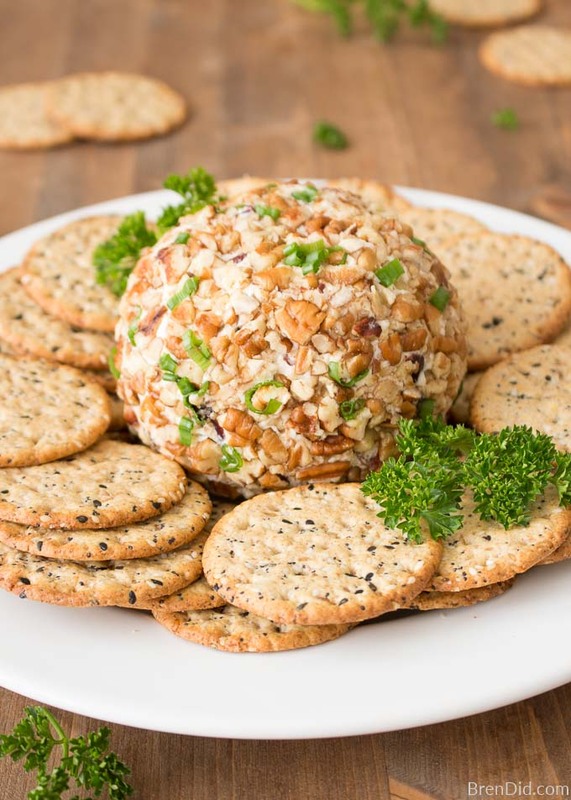 This Gorgonzola Cheese Ball Recipe with Caramelized Onions is perfect for holiday entertaining! It is easy and delicious. Cook onions in a skillet over medium heat using 1 tsp. olive oil until dark golden brown. Stir frequently. Caramelization should take approximately 10 minutes. If the onion begin to burn add a splash of water, it will cook off. Mix cranberries and caramelized onions into cheese mixture until evenly combined. Place cheese mixture onto plastic wrap, pat and roll into a ball shape, wrap tightly and refrigerate overnight. 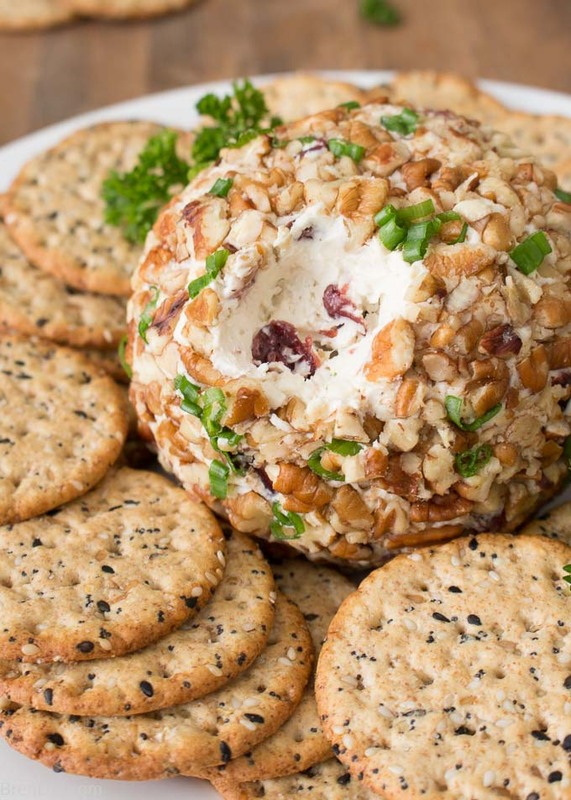 Place cheese ball on serving tray and refrigerate until serving time. 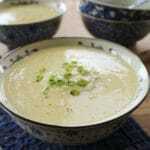 Serve with assorted crackers and/or celery and carrots. 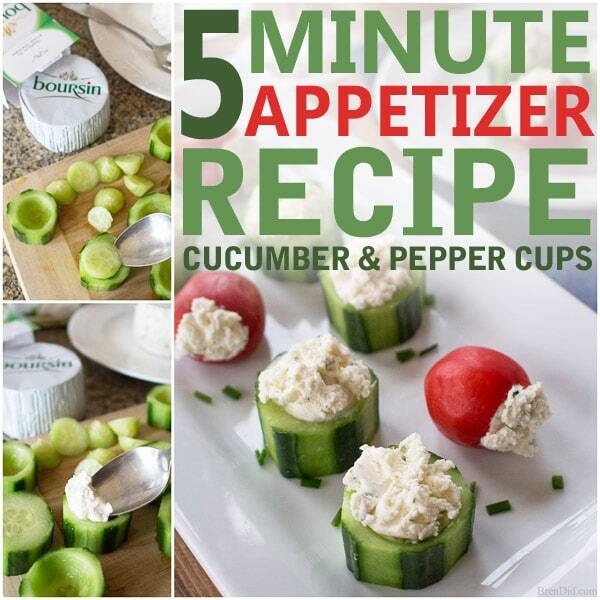 Cucumber Pepper Cups are easy to make and loved by guests. 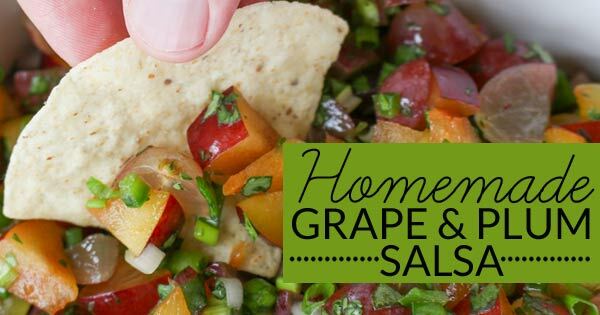 Homemade Grape and Plum Salsa is a tasty twist on classic salsa. I love all things cheese. 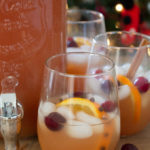 This looks amazing and I can’t wait to try it!! I love stinky cheese too! And white vinegar for cleaning. Can’t wait to try both recipes. Your blog is awesome! Thanks Julie! I hope you keep loving the blog as it develops.